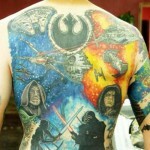 When it comes to Star Wars tattoos, I have posted some pretty impressive works of art in the past (such as this full back Star Wars tattoo or the very impressive Star Wars sleeve tattoos), however I think this one might just be my personal favorite. 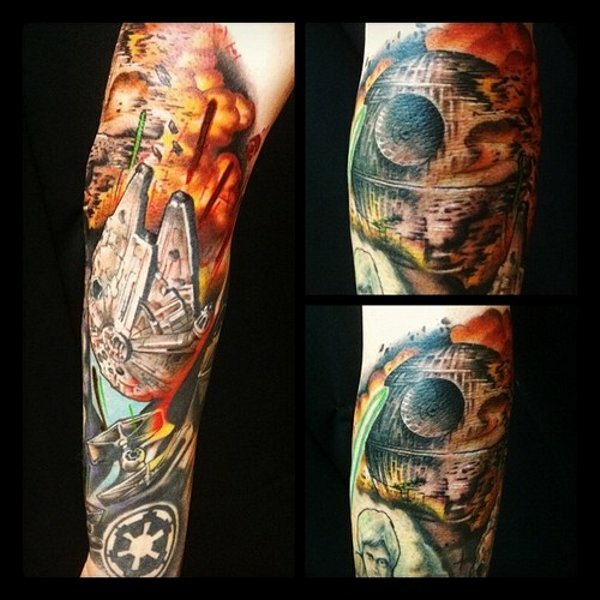 This colorful and incredibly detailed leg tattoo featuring the Death Star and the Millennium Falcon among other Star Wars icons was inked by Jim Warf of Elizabeth St Tattoo in Riverside Ca. 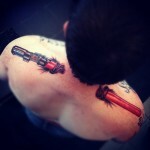 I would say that Jim is a tattoo artist with some serious skill! 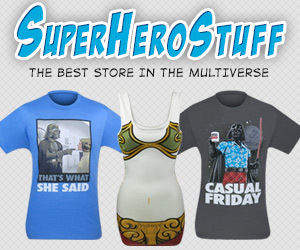 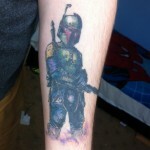 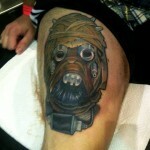 If you have an awesome Star Wars tattoo, let us know in the comments as we would love to see them!